The UK hip-hop scene has had a bit of a facelift in recent years, mainly due to the rising rappers who have come in and taken over the 'net with their dark street tales and original swag. One of the leaders of this new wave is Sneakbo, an artist of Nigerian descent, coming straight out of south London's Brixton, England. The 19-year-old rapper's love for dancehall music has seen him collaborate with Movado on more than one occasion and highly praised by Drake. "He inspired the way I rapped on 'Cameras' and the way I rapped on even 'Take Care,'" the Young Money rapper told UK's ThisisMax.net. Yes, those were his exact words. Please allow us to introduce to you the one they call "Sneak-to-da-bo!" Body of Work: 'Jetski Wave' (2011) and 'I'm Buzzin'' (2011). The Juice: When did you recognize your talent and step into the rap scene? Sneakbo: My friends used to rap around me all the time. I wasn't really into it in the beginning, but I've always been around it. Then one day, I just went into the studio and did a track. It was good, but no one really caught on to it. Then once I made a song about girls, it just went crazy after that. Musically, who did you look at as an inspiration growing up? UK-wise, I'd have to say DVS and Giggs. Michael Jackson inspired me as well, and even Vybz Kartel. I've always listened to different types of music, but those are the main artists who taught me something. You hit a bump on the road when you went to prison in 2011. Why and for how long were you incarcerated for? I was held on remand for just under four months. It was over a breach of ASBO and to also clear my name from some other allegations. My music career had only just started before I went to jail, so my life was very different before. While I was in jail, my single charted nationwide and my songs started to get love from the mainstream. When I came out, my life had completely changed. I've had to move away from Brixton. I'm also constantly touring and making legit money, so there will never be a need for me to go back to that life. My album is shaping up nicely, my new single is all over TV and radio again. [Also}, my Jetski Wave merchandise is moving units, so it's all good. I needed a way out and I've been lucky enough to get this opportunity. For those who haven't heard your music until now, how would you describe your sound? Party music! But I can also do the emotional songs. I think it's good to show different sides of yourself in the music that you put out, so I try and do that. Right now, though, I'm more on the party side than anything else right now. What do you think you bring to the game that others don't? I just think that I bring a lot of fun and excitement. People seem to really take to my catchy flow and lyrical content as well. When I perform out at events, I make the people bounce! I can't even describe the feeling that I get when I see people having a good time to my music. So yeah, I bring that lively, fun vibe. Who are you personally rating from the UK music scene right now? I would probably say Wretch 32. His flow, everything about him, I just like what he speaks about and I can relate to everything! He's just on point and he's someone that I'd definitely like to work with in the future. Let's talk about Drake for a hot second. He's been showing you a lot of love. How do you feel about having one of the biggest rappers out right now talking so highly of you? I didn't even know what to say! Obviously I was being calm about it, but I was proper happy. Everyone that I grew up with or who I'm around right now loves Drake. You know I was in jail, yeah? Songs used to come on the radio and I used to say, 'I love these songs' and that's when I started listening to him properly. I told my girlfriend to get the 'Take Care' album, then I came out and he tweeted me! It's still a bit weird to know that Drake likes my music like he does. Yeah, man, it's all a bit mad how this has all happened. I was actually listening to 'Take Care' and on a track he was saying, 'How you mean. How you mean…' and that's what I say! I wouldn't have actually thought he'd got it from me until he said what he said in the in the interview. But yeah, man, he's shown me a lot of love and I fully appreciate it. Do you think you have what it takes to crack America? I reckon that if I was with certain people out there, I could definitely do big things in the States. If I was around people like Lil Wayne, Birdman or Rick Ross -- someone who already has a big platform and a strong team of people around them -- then I think I'd be in with a good chance. 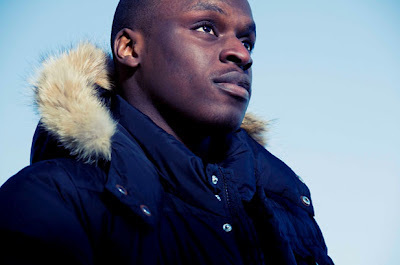 And lastly, what can we expect from Sneakbo in the future? I'm gonna be dropping some singles and I'm working on the album, so hopefully early next year or late this year there should be an album. You can expect a lot of collaborations on the album, but I can't say too much right now. Just look out for a lot more good music from myself, because I'm dedicated more than ever before.